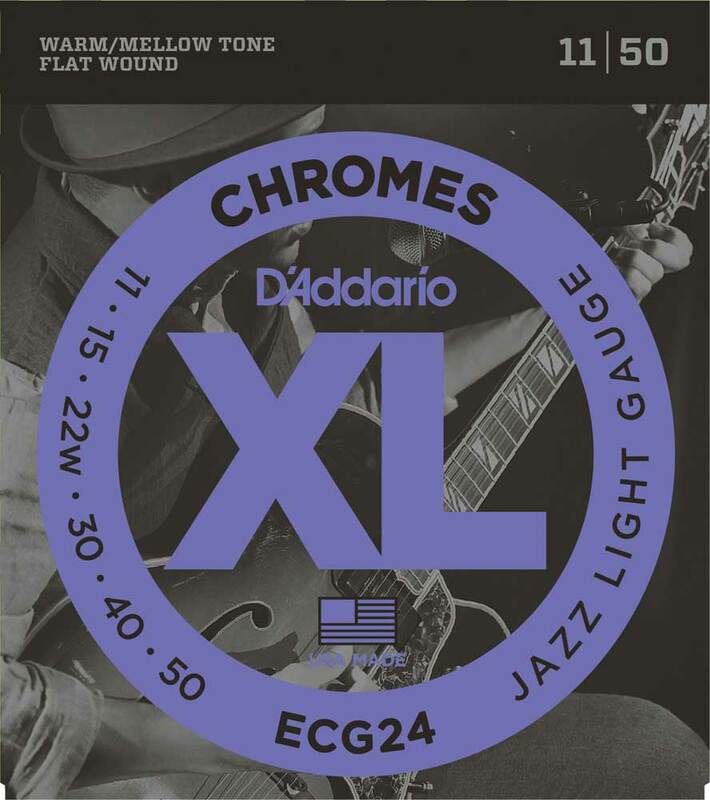 D'Addario Chromes Flatwound Electric Guitar strings are the choice of discerning players for their smooth feel and warm, mellow tone. The strings are wound with flattened "ribbon" wire, then polished to an incredibly smooth surface. Great for classic Jazz tone and Rockabilly twang!